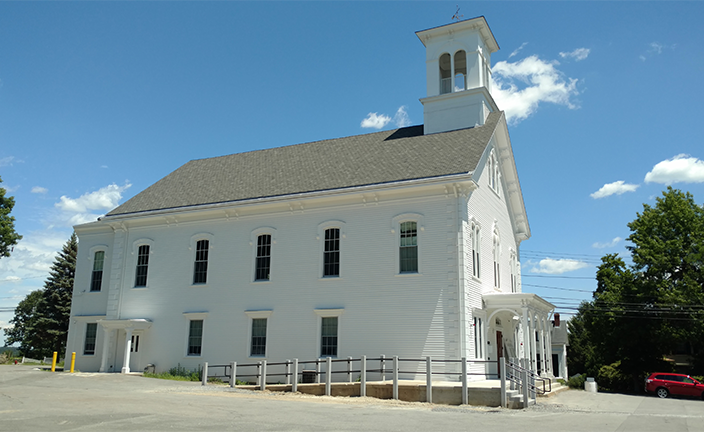 In 2013, LLB began an exhaustive existing conditions assessment of the Town Hall which resulted in the preparation of construction documents for the restoration of the exterior and the renovation of the interior. 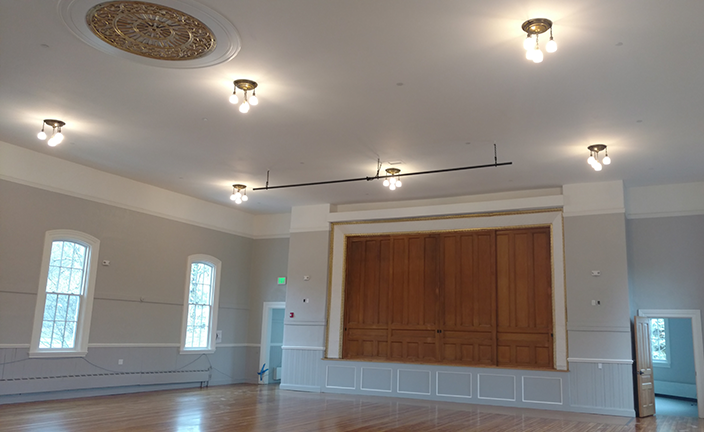 One of the town’s goals was to restore the building as close to the original 1870’s design requiring the recreation of a cupola that had been part of the original design. This was possible through the careful study of historic photographs. Examination of the historic facades determined the level of deterioration and the appropriate approach to restore each piece of siding and trim. 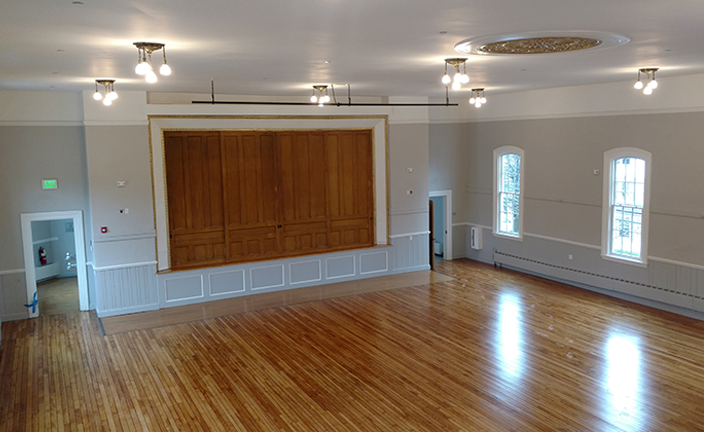 Improvements to the exterior of the building included a new asphalt shingle roof, the addition of energy-efficient insulation and aluminum clad wooden windows and cedar siding that replicate the historic character. To bring the town hall into compliance with current building codes and accessibility requirements, a new exterior entrance and interior vertical lift were added. Interior upgrades included the installation of an energy-efficient boiler and water heater, as well as new fire protection and electrical systems. 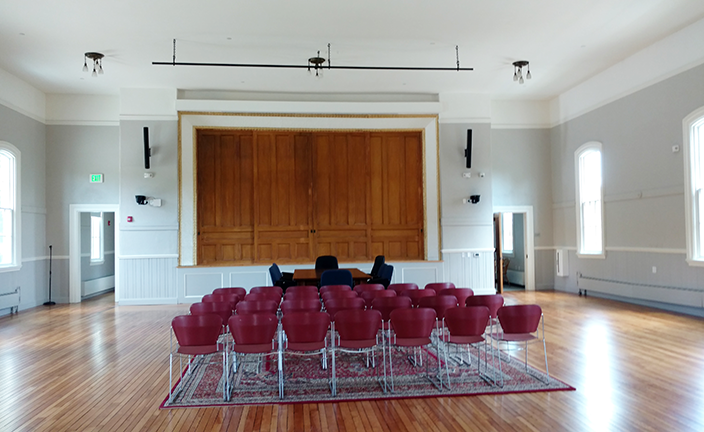 On the interior, LLB worked with the town to redesign the space layout to better reflect how the town hall operates today, including the addition of much needed large and small conference rooms.